The different type of voltage notations is being used in a power system transmission and distribution. Let see the type of voltage. The maximum standard voltage that can be produced by a generating station is called rated voltage under safety margin. The rated voltage is typically said to be a generator’s maximum voltage. The predermined system voltage is called nominal voltage. i.e an alternator has designed to produce 11kV + or – 5% but it produces 11. 1 kV means the nominal voltage of the alternator is 11kV and The rated voltage is 11.1kV. We cannot accurately maintain the alternator to operate in nominal voltage. The Voltage level of below 70Volts is called Extra low voltage. The human can touch the line and it does not harm. The voltage level is between 70 Volts to 600 Volts called low voltage. Human do not touch these live wire. 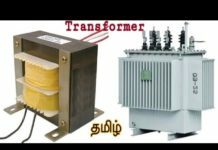 Note: The different manufactures have different voltage standards. The voltage level between 33kV to 220 kV is called High Voltage. Also the transmission line carries the high voltages is called high voltage transmission lines. The extra high voltages will be added as per the consumer requirement. Typically, the voltage level between the 220kV to 760 kV is called Extra High voltages. 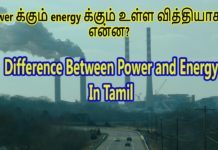 Also Know About: What is Motor In Tamil மோட்டார் என்றால் என்ன? The ultra-high voltage lines are nothing but a voltage level above 800kV is called Ultra high voltage.